After the stress of exams and the feeling of beginning a new semester, the pressures of studying and planning ahead for the future can allow us to lose track of our own well-being. Art provides a great means of reconnecting with yourself and finding solace in the expression of others, and being a student in Manchester gives a great array of opportunities to use art for the benefit of your own well-being during this time. The importance of art in finding and nurturing our inner peace is something that many galleries are incredibly valuable at providing, offering a quiet space away from our normal lives. This is exemplified by exhibitions like And Breathe at Manchester Art Gallery, which purposely seeks to give visitors the quiet, reflective experience of coming to see art in a gallery. As we all know, falling victim to the motions of university life means that we rarely leave the path of our commutes to and from university and other places we frequent in the surrounding area. Taking notice of other parts of the city takes us out of our comfort zones and can refresh even the most jaded daily habits – especially in a city with such vast and varied parts as Manchester. One such example would be a visit to The Lowry in Salford, a furutsic arts complex that sits in the middle of the dynamic hub of Salford Quays. By covering the distance of a few tram stops, you can immerse yourself in the wonders of Pre-Raphaelite Art or the industrial landscapes of the L.S. Lowry in the gallery’s permanent collections. In the north of the City Centre by Manchester Arena is a hidden gem of modern art: PAPER. PAPER is a gallery run by artists, showcasing work from those who work with the medium of paper. Showcasing a range of dynamic emerging and mid-career artists, a walk up to PAPER past the usual City Centre fixtures and more obvious a institutions makes for a visit that is as much refreshing as it is fascinating. Finding time to enjoy art in our busy schedules can be difficult, as carving out the time to visit a gallery can leave us even more stressed when we’re too busy to stray too far away from where we need to be. 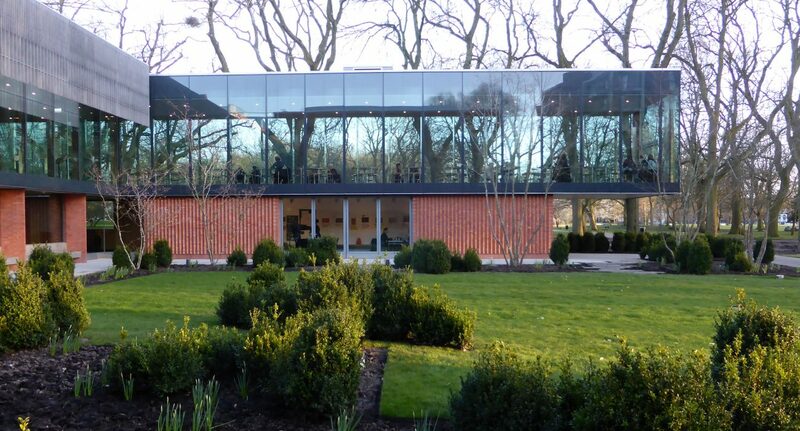 Fortunately, the Whitworth Gallery provides a varied art collection of international significance housed in beautiful surroundings that can be reached on foot from the Oxford Road campus in ten minutes or less. Peeling away from the stress, pace, and business of University for a time well spent to centre yourself and gain clarity can be done with convenience and ease in the Whitworth. Whether you’re interested in historic fine art, modern contemporary art or textile work, a trip to the Whitworth is an invaluable means to finding well-being in art this semester by giving yourself a guilt-free break.